Gray frock coat There are 5 products. Italian bespoke grey frock coat with wide peak lapels and 1 button. Mohair wool mix alpaca fabric. 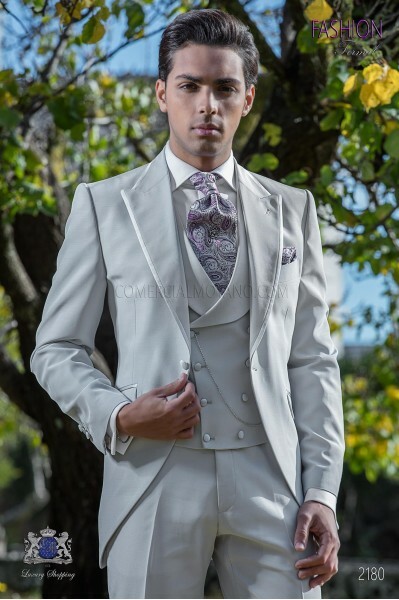 Tuxedo Wedding suit 2369 Gentleman Collection Ottavio Nuccio Gala.You can complete the outfit with matching pearl gray waistcoat in "Jacquard" fabric. Italian bespoke grey suit with wide peak lapels, 1 mother of pearl button. Mohair wool mix alpaca fabric. 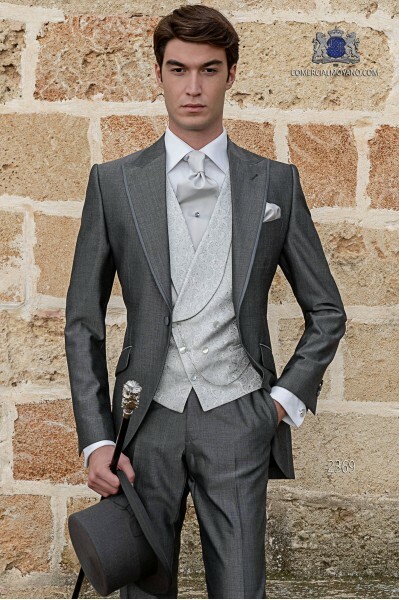 Wedding suit 2176 Gentleman Collection Ottavio Nuccio Gala.You can complete the outfit with matching grey waistcoat, double breasted. 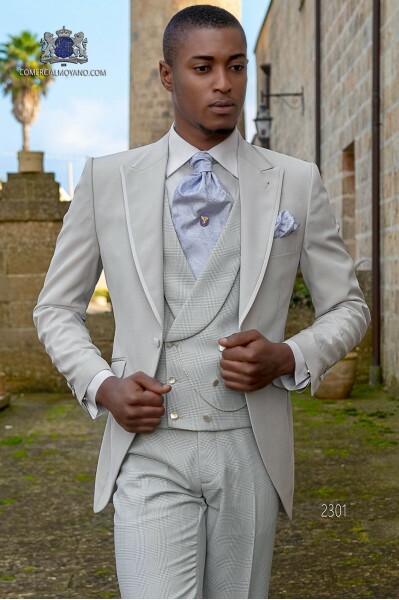 Italian bespoke frock coat gray pear morning suit with wide peak lapels and 1 mother of pearl button. Prince of Wales wool mix fabric. Tuxedo Wedding suit 2300 Gentleman Collection Ottavio Nuccio Gala. 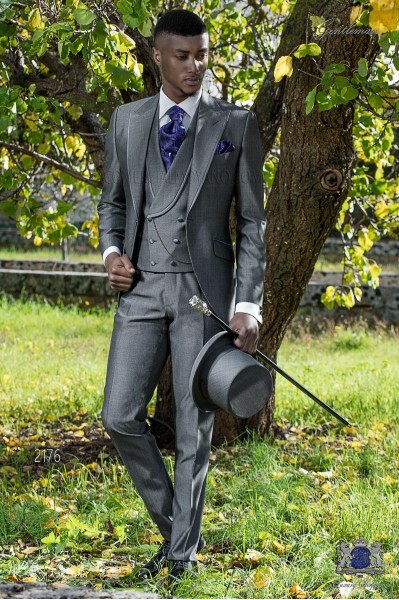 Italian bespoke gray pearl frock coat wool mix suit with peak lapels, satin contrast and 1 button. 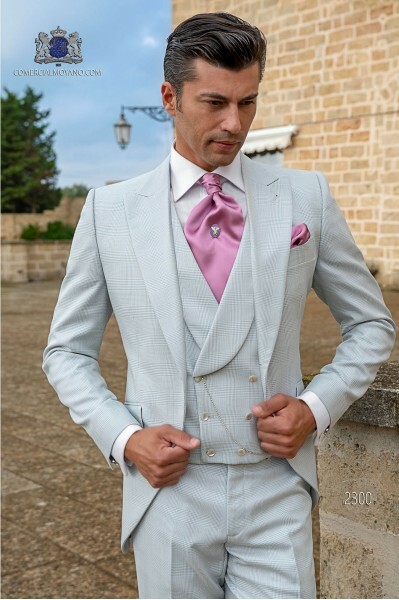 Wedding suit 2180 Fashion Formal Collection Ottavio Nuccio Gala.